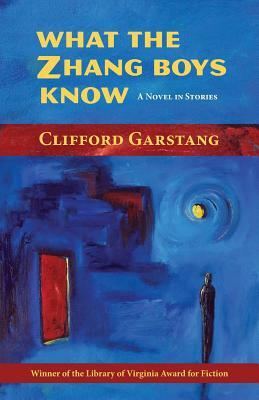 What the Zhang Boys Know is, as the subtitle suggests, a novel of stories: more than ten interlinked short stories that tell the story Nanking Mansion, an up-scale condo building in a less-than-upscale neighborhood of Washington, D.C. The residents of the building--a lawyer, a painter, a sculptor, a young couple, a widower and his two boys--are generally unhappy with the neighborhood, living on the forefront of gentrification as they do. But they are also unhappy with their lots: a painter who pines for his lover and whose work is not popular; a widower who struggles to cope with his two young boys (the Zhang boys) in the wake of his wife's early death; a young woman who is no longer happy with her long-term boyfriend but does not know how to leave him; a recent divorcee who cannot pay her mortgage, let alone feed herself. In each story, we are treated to a different narrator, getting a glimpse further into a life that was mere backdrop in the stories preceding. In this way, Clifford Garstang reveals the inner workings of the residents of the Nanking Mansion, at once making us know and not know the characters we encounter. Though there are a lot of characters here -- nearly a dozen narrators and even more supporting roles -- the ways in which Garstang brings them neatly to the forefront and then sets them back again keeps them from ever becoming burdensome. Instead, they are what keep the stor(y/ies) engaging, as characters re-emerge in new lights and from new perspectives. The resulting collection of their tales is at once delightful and haunting, giving readers insight into the myriad lives that can live in one building, so close together and yet so distinct from one another. Thanks to the publisher and TLC Book Tours, I am able to offer one copy of this title as a giveaway. To enter, simply leave a comment below. +1 for followers, +1 for sharing this giveaway on Facebook or Twitter. Giveaway closes Monday, Nov 5 and I will announce the winner on Tuesday, Nov 6. Note: Thanks to the publisher and TLC Book Tours for the review copy. It was really lovely, yes. Garstang's weaving together of all of the disparate stories was incredibly well done. Hi Kerry ~ Well written review, as always! Thank you, David! Hope you are doing well! I'm glad you enjoyed this one! Thanks for being on the tour. 26 by 26 Update: I Ran 3.11 Miles!